SAN FRANCISCO (KGO) -- A San Francisco family needs help solving a mystery. 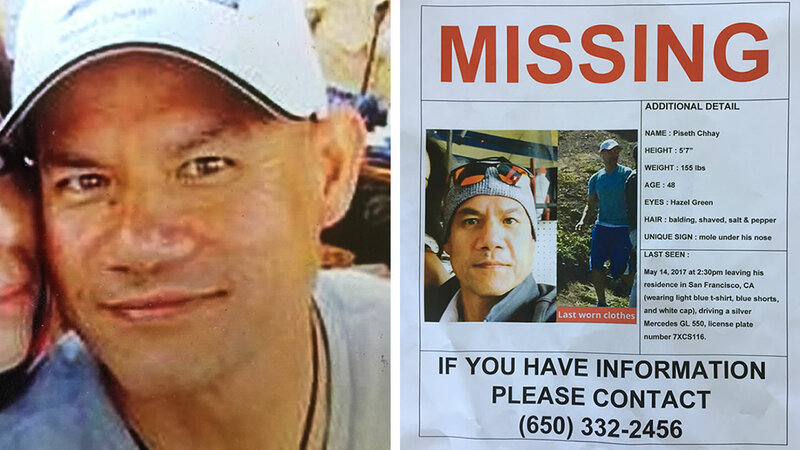 ABC7 News was in Balboa Park as Rattana Kim posted a missing person flyer for her husband Piseth Chhay, who disappeared on Mother's Day. He is an Uber driver. His wife is worried that a passenger who left a phone in his car may have gotten him tangled in some kind of trouble. "He's been missing for four days. And the kids miss him so badly. They call out for his name," Kim said. "They call his phone and they ask, 'When is daddy coming home.'" San Francisco police are having a hard time tracking Chhay. His cellphone is turned off and the GPS on his Mercedes SUV is not working. His family says Uber wants a court order to track his phone or identify his passengers. Uber informed ABC7 News they do not believe Chhay went missing while on the Uber platform. They also said they are working with the SFPD on the investigation and urge anyone with information to call police. You can reach the San Francisco police at (415) 553-0123.